Come away to a fantastical world where ice prairies sparkle, sea dragons sing by moonlight, and lost legends come to life! Penned and partially illustrated by Peterson, this adventure-filled tale takes you to the land of Skree where the Igiby children are pursued by the evil Gnag after they stumble upon a cache of precious jewels. 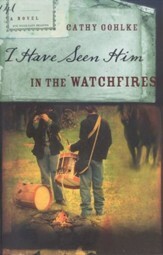 256 pages, softcover from Waterbrook. Andrew Peterson spins a quirky and riveting tale of the Igibys extraordinary journey from Glipwoods Dragon Day Festival and a secret hidden in the Books and Crannies Bookstore, past the terrifying Black Carriage, clutches of the horned hounds and loathsome toothy cows surrounding AnkleJelly Manor, through the Glipwood Forest and mysterious treehouse of Peet the Sock Man (known for a little softshoe and wearing tattered socks on his hands and arms), to the very edge of the Ice Prairies. Full of characters rich in heart, smarts, and courage, On the Edge of the Dark Sea of Darkness presents a world of wonder and a tale children of all ages will cherish, families can read aloud, and readers groups are sure to discuss for its layers of meaning about lifes true treasure and tangle of the beautiful and horrible, temporal and eternal, and good and bad. Author/Singer/Songewriter Andrew Peterson, a 2005 Audie Award finalist for his readings of Ray Blackstons Flabbergasted trilogy, wrote and produced the popular Christmas play and musical Behold the Lamb of God: The True Tale of the Coming of the Christ, and the album by the same name, which received the 2004 Best Album of the Year, World Christian Musics Editors Choice Award. Andrews received critical acclaim for his seven albums and is at work on an eighth. He lives with his wife Jamie and their three young children near Nashville, Tennessee, where he reads storybooks aloud to his family each evening. Artist Justin Gerard has illustrated several childrens books, including The Lightlings storybooks for young readers by R.C. Sproul. He lives in Greenville, South Carolina, and works as the chief creative officer for Portland Studios. 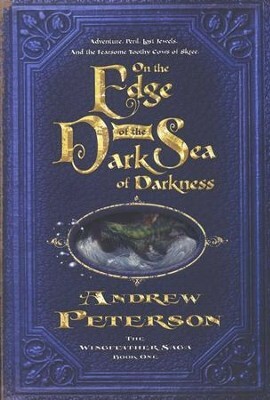 On the Edge of the Dark Sea of Darkness by Andrew Peterson is a book filled with adventure, excitement, and mystery! The evil serpentine Fangs of Dang have conquered the humans known as Skreeans, and they are far from kind to them. The Fangs enjoy putting people in prison and whipping them, and they take special delight in sending children to Gnag the Nameless by way of a dark carriage. So, when Janner, the main character, along with his brother Tink and sister Leeli find themselves in trouble with the Fangs, its best the reader buckle his seatbelt and prepare for a wild ride. Aside from the terrors of the Fangs, Janner comes to discover many secrets kept from him and his siblings. From the mysteries of Janners father, Esben, and the hidden jewels of his mother to the famous yet strange Armulyn the Bard and the seemingly fabled land of Anniera, readers are sure to be on the edge of their seats with curiosity and tensions. Andrew Petersons book is just complex enough to be taken seriously, yet just silly enough to be continually amusing. With slapstick humor, jokes, and amusingly skillful storytelling, the author really gets the reader to enjoy the book. It is written well, definitely for an adolescent age group, and is only the first in a whole series titled The Wingfeather Saga. Definitely a recommendation! Playwright Peterson (Behold the Lamb of God) spins a whimsical fantasy novel that will appeal to both adult and YA readers. When the three Igiby siblings find a mysterious map, they embark on an adventure to discover family secrets about the father they never knew and a hidden treasure that many have long desired to find. Leeli, the youngest, can sing with a beauty that captivates dragons; Tink, the middle sibling, has the makings of a king; and Janner, the eldest, possesses a bravery that will protect them all. But the children's curiosity get the entire Igiby family into trouble with the Fangs of Dangfrightening, scaly-skinned, lizard creatures that drip venomwho have ruled the land of Scree since the Great War. Soon, the Igibys are scrambling for their lives. Peterson's style is lighthearted and funny, but following the Igibys' story requires patience and attention to detail and character so as not to get lost. The sheer amount of names, places, creatures and history Peterson invents will frustrate some readersit is so complicated that he inserts explanatory historical footnotes throughout (though many are amusing). (Mar. )Copyright 2008 Reed Business Information. "So goodsmart, funny, as full of ideas as action." "A wildly imaginative, wonderfully irreverent epic that shines with wit and wisdomand features excellent instructions on how to cope with Thwaps, Fangs, and the occasional Toothy Cow." "Fun to read! Every page has word-play, a pun, or clever dialogue that makes me giggle, and the story is full of insight into life. The characters have great names and come to life and stimulate the imagination. Andrew is such a gifted storyteller; this book will be a treasure to both children and adults." "What a great story! I laughed, gasped, and learned more about Skreean culture than I ever thought possible. On the Edge of the Dark Sea of Darkness is equal parts adventure and whimsya real page turner that both accelerates the heart and warms it. I loved it." "Sometimes, in order to find out who we were supposed to be, we need to get lost in other worlds: Oz, Camelot, Narnia. In On the Edge of the Dark Sea of Darkness, Andrew Peterson provides new and needed places like Aerwiar, Skree, and Glipwoodplaces where we need to get lost and found." "Totally fun! 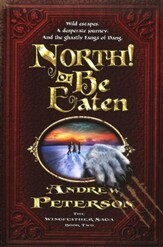 Andrew Peterson, a natural storyteller in the oral tradition, has nailed the voice needed to translate a rip-roaring fantasy tale to the written page." I'm the author/artist and I want to review #1: On the Edge of the Dark Sea of Darkness.